Precision trimmer PT5010 with 2 combs and trimmer stand. 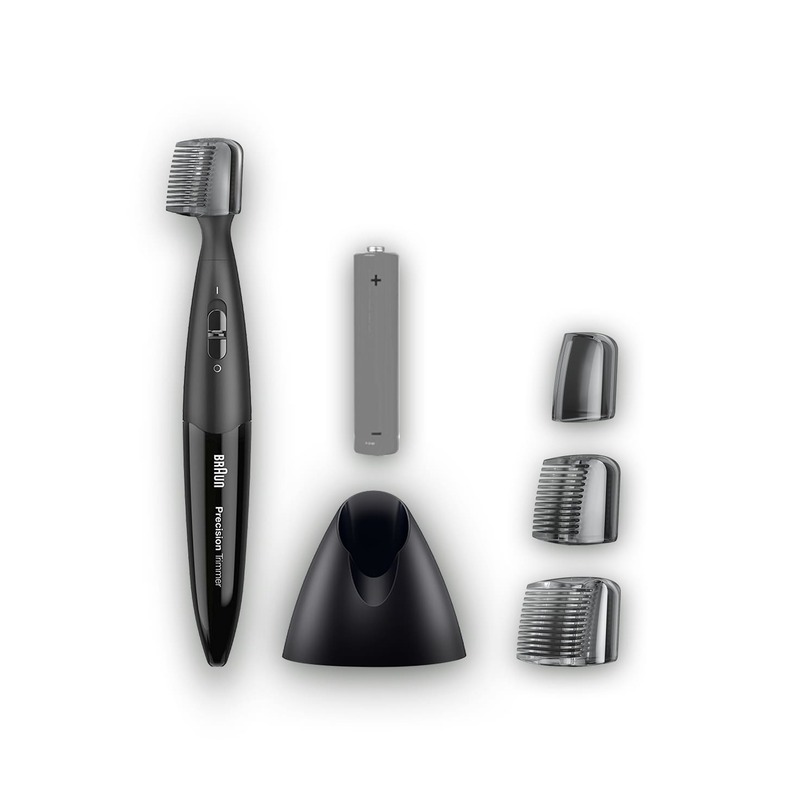 Braun precision trimmer PT5010. The perfect look is a matter of precision. Edges and contours exactly as you want them. Easy handling. Create the perfectly groomed look. The Braun precision trimmer works with a common AAA size battery. One is included already. It will last up to 120 minutes of trimming.